Adroit Science Sweden, is a company dedicated to the exploration and characterization of substances and formulations from a solid state point of view. We offer first class laboratory and consultancy services to the industry within solid material investigations including supportive analytical chemistry. Our extensive experience allows us to provide the relevant interpretations of the results and point out the preferred way forward for future formulation development. Adroit Science´s expert solid state knowledge includes a decisive regulatory and IP experience as well as a unique inhalation know how. Our combined competence covers the whole range from early discovery phase unto marketed products. MVIC, Medicon Valley Inhalation Consortium™, is a group of companies in the Skåne-Copenhagen region that have a world class expertise in the inhalation area. Our members have a decade, sometimes two or three decades, of advanced hands on experience of inhalation product development. Our members come from leading scientific or project management positions at AstraZeneca and Novo Nordisk. MVIC was formed to bring together all individuals and companies with inhalation expertise in the Skåne and Copenhagen area. 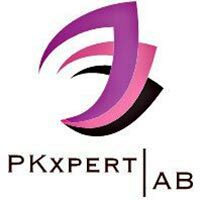 PKxpert provides consultancy services, with expert knowledge in pharmacokinetics (PK), combined with broad experience in drug development from both big pharma and small biotech companies. PKxpert has extensive experience of small molecules as well as biologics, preclinical and clinical study designs, regulatory documentation including filing, quality assurance including audits and SOP documentation, and integration of PK with other faculties e.g. toxicology, drug metabolism, bioanalysis, statistics and pharmacology. PKxpert’s Vision is to support small drug development companies to perform the right studies with innovative study design at the right time during the development process of a lead compound. Toxicology Knowledge Team (TKT) is a recently founded consultancy company, started by dedicated toxicologists from AstraZeneca, Safety Assessment, Sweden. TKT can provide toxicological expertise to pharmaceutical projects, from safety assessment of potential drug targets to later phases with design, monitoring and review of toxicology and safety pharmacology studies, as well as the generation of regulatory documentation. We support companies and organizations that require expertise and advice in industrial hygiene and REACH (Registration, Evaluation, Authorization and restriction of CHemicals). TKT has unique expertise in in silico analysis, and provides QSAR predictions for genotoxicity and other severe toxicity. TKT can also provide toxicological investigations and risk assessment of medical devices within the ISO 10993 standards. 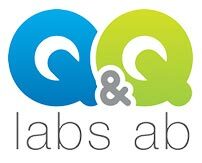 Q & Q Labs is a QC lab, core business is chemical analysis of organic molecules and covers everything from the development of methods to validate substances. Q & Q operates in accordance with IEC / ISO 17025 and applicable parts of the GMP and GLP. Based in BioVentureHub, Gothenburg.